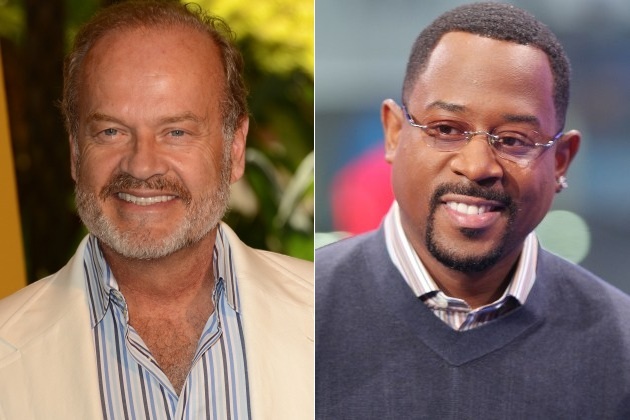 *Kelsey Grammer and Martin Lawrence’s FX comedy “Partners” will premiere Monday, Aug. 4 at 9/8c, the network announced Thursday. The duo will play two greatly different Chicago lawyers who are brought together by circumstance. Marcus Jackson (Lawrence) is a kind community activist in the midst of a devastating divorce. Allen Braddock (Grammer) is an elitist lawyer who’s just been fired from his father’s firm. But after meeting in court, the pair develop a strong partnership and friendship. “Partners” also stars Telma Hopkins, Rory O’Malley, McKaley Miller, Edi Patterson and Daniele Watts. Bob Boyett and Robert Horn serve as executive producers. The series will air two back-to-back episodes every Monday for five consecutive weeks, reports TVGuide.com. This is going to be so funny. I’m looking forward to it. Would had been more interesting if Lawrence was playing the elitist lawyer and Grammer the community activist.